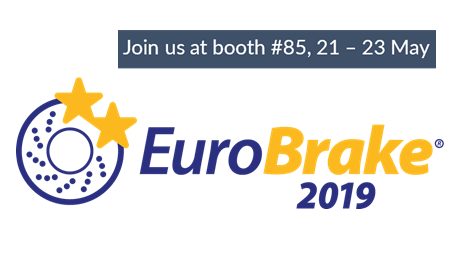 Atotech, global leader in surface-finishing solutions for brake calipers, will be attending EuroBrake – the world’s largest conference and exhibition dedicated to braking technology. At our general metal finishing division, we pay special attention to the needs and demands of automotive manufacturers, OEMs and their suppliers and provide solutions that meet and exceed the standards of the industry. Join our booth no. 85 to discuss latest product developments for braking and brake systems. Zinni® 220 – boric acid-free zinc nickel electrolyte especially designed for brake caliper plating. Unmatched throwing power ensures high plating thickness in extreme low current density areas resulting in higher corrosion resistance compared to conventional acid zinc nickel electrolytes. The ammonia and boric acid-free electrolyte complies with all regulations worldwide. Tridur® DB – fluoride-free, optionally cobalt-free, two-component deep blue passivate for alkaline and acid zinc nickel surfaces. Suitable for rack and barrel applications, Tridur® DB has a wide working window for blue appearance and outstanding corrosion performance, which makes it a perfect alternative to standard thick film passivates. Sealer 300 W 2.0 – Based on the patented technology of Sealer 300 W, Sealer 300 W 2.0 significantly reduces residues and drop marks and provides the highest corrosion protection, even after assembling. Excellent corrosion protection performance is not only achieved in neutral salt spray tests, but also in cyclic corrosion tests (e.g. GMW 14872) as well as under outdoor exposure testing, where it outperforms conventional sealer technologies. EuroBrake has become established as the world’s largest technical event of its kind. It addresses a global audience of engineers, scientists, academics and executives from the industries of passenger car, commercial vehicle, rail and the wider industrial sectors.